The new year has begun and with it a season of hopeful intentionality! 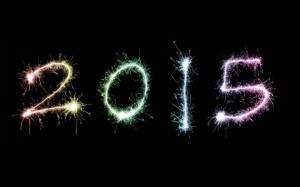 Millions of people have crafted their goals, resolutions, and plans for an incredible 2015. Our coveted targets however are always tied to personal behavior; although we want something externally to change it really requires that we are different. Creating new behavior is challenging, uncomfortable and frequently awkward. If we are not reinforcing new behavior adequately or do not have sufficient support, we frequently backslide. The equation for success is complex and personal. There is however, one simple and profound way that we can support ourselves and one another as we grow, change, and move into a new season of expansion. We can create a culture of transformation: we can openly acknowledge our desire and willingness to change and ask others to support us as we let go of the things that have not served us as we acquire new ways of living and being in the world. Similarly, we can openly support others to do the same. Make the proclamation to yourself and those you love: expand, grow, change – move courageously in the direction of your dreams – you are free to be! Although a simple and profound permission, it is perhaps the best gift you could give and receive all year! Happy New You!